One fun way to get to know your deck is to redraw the cards, or play with the concept of it. 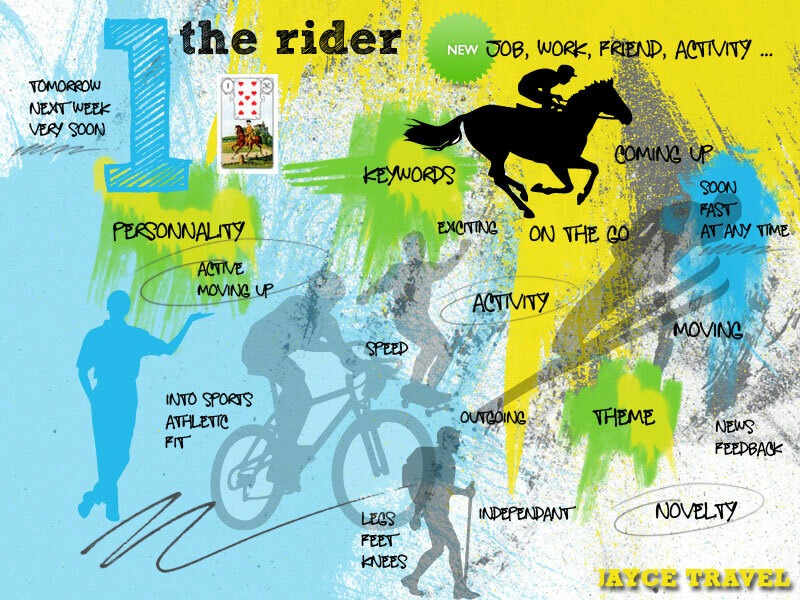 Here is a “flash card” that is being done around the first card of the Lenormand deck : the Rider. This card displays most of the key concepts associated with that card. Even if you know the meaning of the card already, it is a nice way to rediscover it and get a fresh view. You have to click on it to view it full size. If you are new to the deck, I think this is a nice way to work with a deck and let your creativity flow.